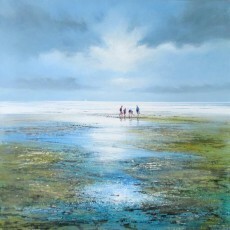 Michael Sanders has built a reputation as successful landscape artist. 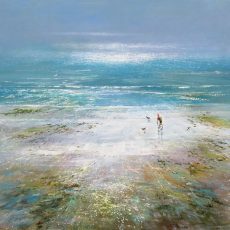 Beginning his career in Norfolk, he later lived in Thailand, painting the colourful beaches and crumbling ancient temples. 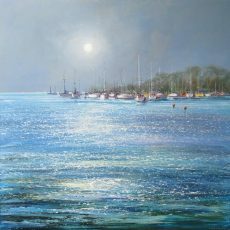 He also spent 6 years living on the Cote D’Azure, exhibiting in Mougins, St Paul de Vence and Monaco. 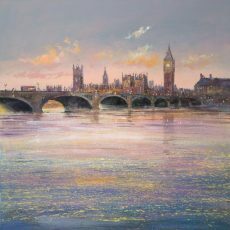 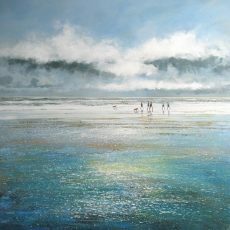 Now once again residing in the UK, he produces work inspired by our very special coastline. 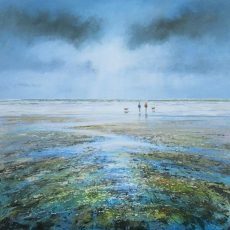 Michael’s paintings reflect his love of the coastal environment. 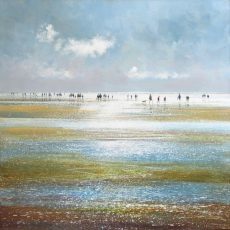 The ever changing colours of the sea, sky and light provide endless inspiration for his paintings of beaches and harbours. 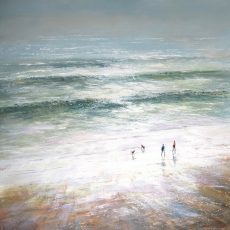 Using oil, acrylic, gouache and watercolour combined with collage techniques, he creates paintings that instantly transport you to the coast. 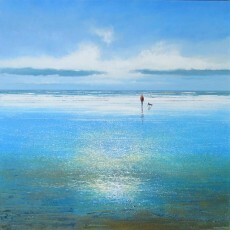 He is particularly adept at capturing the glistening light of the beach at low tide. 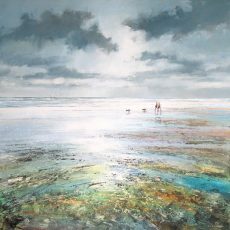 He generally places figures in the landscape; either a lone dog walker, a family or a large group. 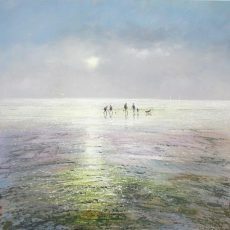 It’s a touch that adeptly connects the viewer to the scene at hand. 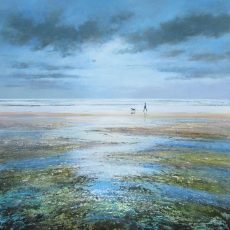 We always have fresh original work by Michael in the gallery and also publish exclusive, high quality limited editions of his work.